Fort Hood soldier Jonnathan Perez Olivieri has been stationed in Germany since last May and has not seen his family. 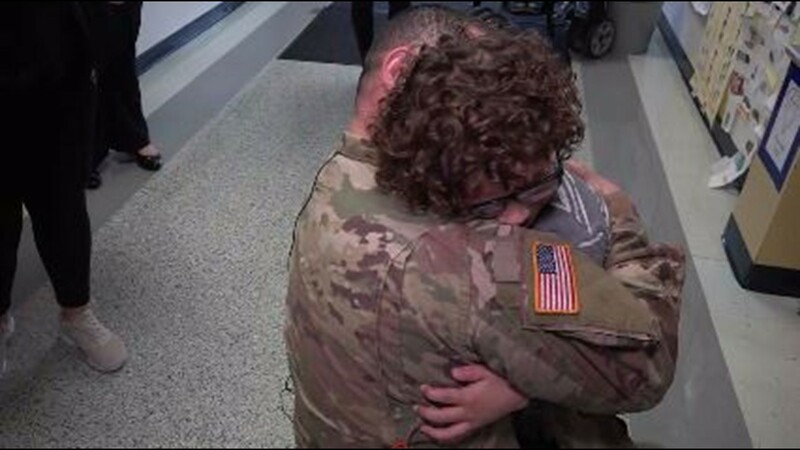 FORT HOOD, Texas — A Trimmier Elementary School student and an Audie Middle School student got big surprises Thursday. 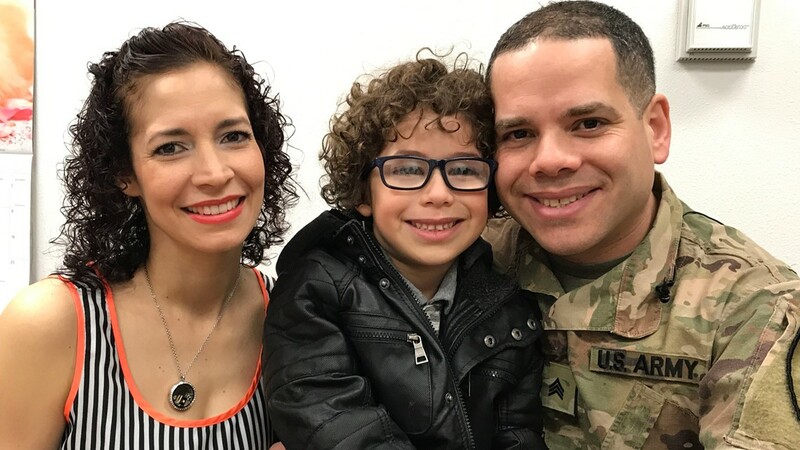 Fort Hood soldier Jonnathan Perez Olivieri was stationed in Germany since last May and had not seen his family in nearly a year. He surprised one of his sons at the Trimmier at 10 a.m. and his other son at 1 p.m. at Audie Murphy Middle School. The boys' mother, Elizabeth Santos, who is an aide at Trimmier Elementary, helped to orchestrate the surprises. 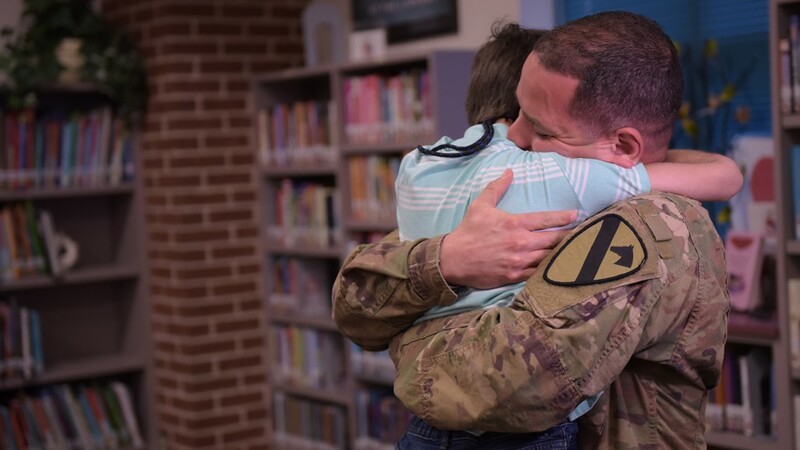 Fort Hood soldier Johnathan Perez Olivieri surprised his son, a kindergartener at Trimmier Elementary School on Feb. 21, 2019 after being stationed in Germany for more than a year. 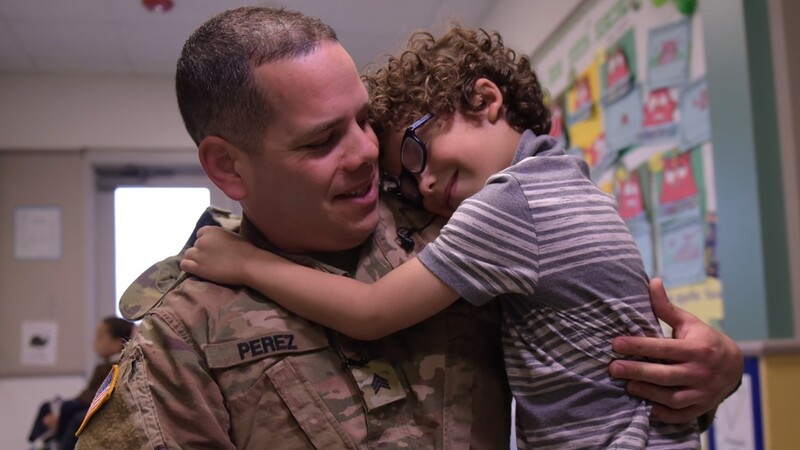 Fort Hood soldier Jonathan Perez Olivieri surprised his son, a kindergartener at Trimmier Elementary School on Feb. 21, 2019 after being stationed in Germany for more than a year. Fort Hood soldier Jonathan Perez Olivieri surprises his son, a kindergartener at Trimmier Elementary School on Feb. 21, 2018, after being stationed in Germany for more than a year. 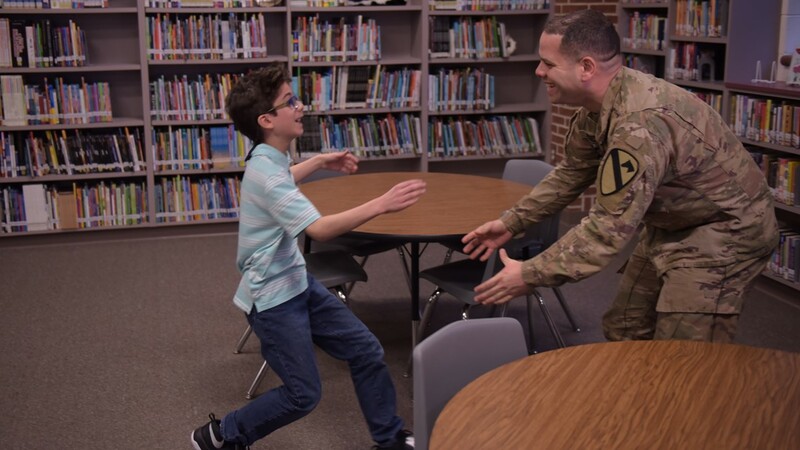 Audie Murphy Middle School sixth-grader Eliel Perez Santos greets his dad on Feb. 21, 2019, Sgt. 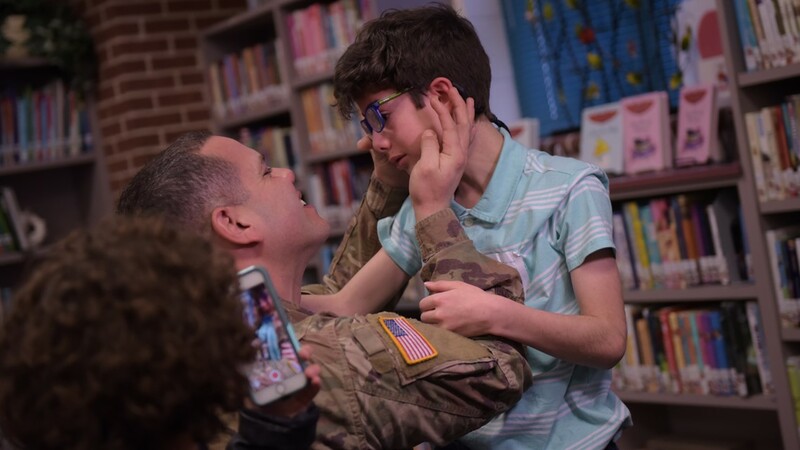 Jonnathan Perez Olivieri in a surprise reunion at the Fort Hood school the day after the soldier arrived home from a deployment in Poland and Germany. Oliveri’s sons were expecting him home on Saturday.